As the name implies, a skylight is a covered, transparent opening (i.e., a window) in a roof that allows natural light from the sun to illuminate evenly an interior space in your house while allowing privacy. They are very useful for brightening dark hallways, bathrooms, kitchens and even closets and can make such rooms appear larger. They are often used in large family rooms with cathedral ceilings. In addition to the warm light provided, they also reduce electricity bills by obviating the need for turning on room lights in the daytime. On a cloudy, overcast day they can dispel the dreary feeling associated with an inadequately lit room. Furthermore, they are environmentally friendly and add to the aesthetics of your home. 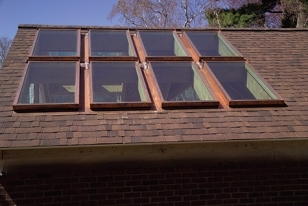 A typical skylight has a sturdy frame covered by a plastic or glass membrane that allows natural light to pass through. There are also vented skylights that allow the homeowner to open a sash to provide air flow and often are used to reduce excess moisture in bathrooms and kitchens. Some are opened and closed manually while others have an electric motor. 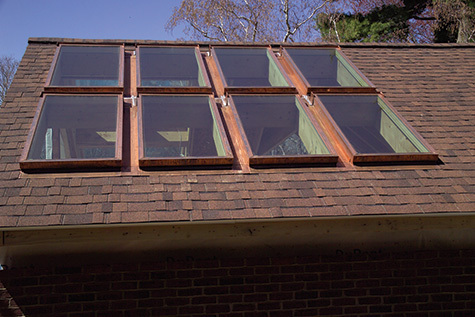 Skylights generally use sealed insulating glass constructed from two panes and are coated to minimize heat loss. 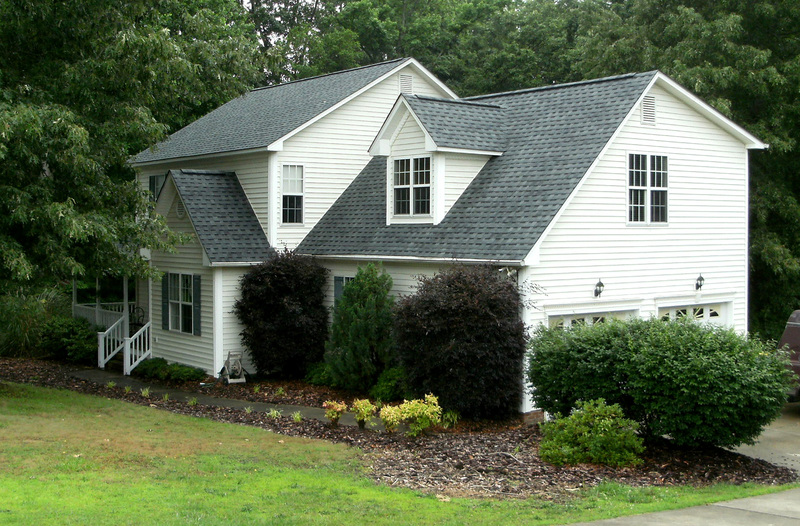 In choosing between a fixed and vented skylight, the homeowner should consider several factors. 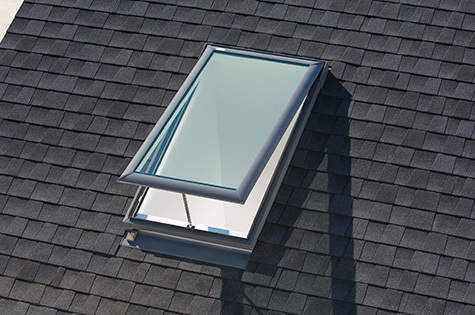 As is probably obvious, a fixed skylight should have fewer potential leaks as it is factory sealed and, when installed properly, should never leak. While vented skylights would seem to offer more opportunities for leaks, they are well made and are not prone to leakage. However, if you forget to close it, then you could be in for a surprise. Of course, you can also get one with a rain sensor that will close automatically at the first sign of raindrops and then you will not have to think about it. As is true with everything in life, there are also some disadvantages to consider. Setting aside the issue of potential leaks which are rare, on hot, sunny days a skylight not made with a diffusing coating can raise the interior temperature of the room and produce an unwanted severe glare. And, from time to time, they will need to be cleaned from above. Nevertheless, many homeowners find having skylights to be beneficial and a welcome upgrade to their home. There are also other factors to consider when having a skylight installed. 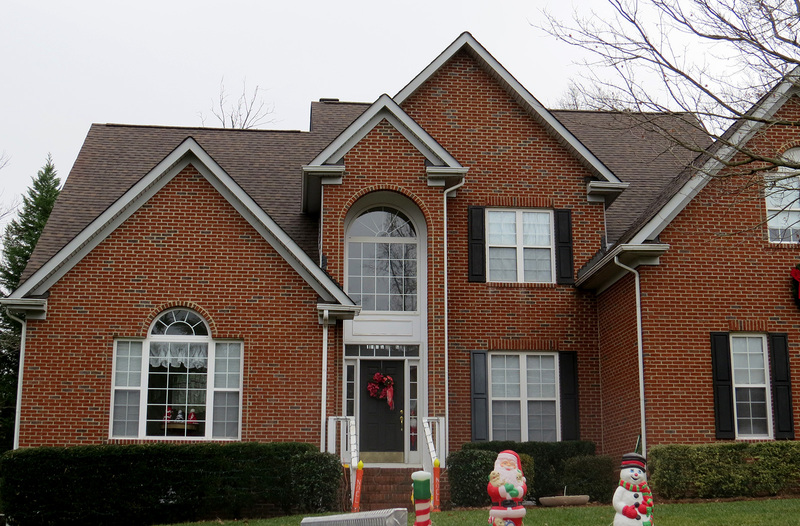 If you choose a roofing section that generally faces north, you can expect generally cooler illumination than one that faces south. If you prefer morning light, then choose a section that faces east. 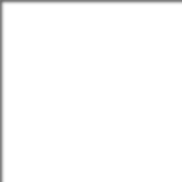 Similarly, for afternoon lighting select a western facing section. 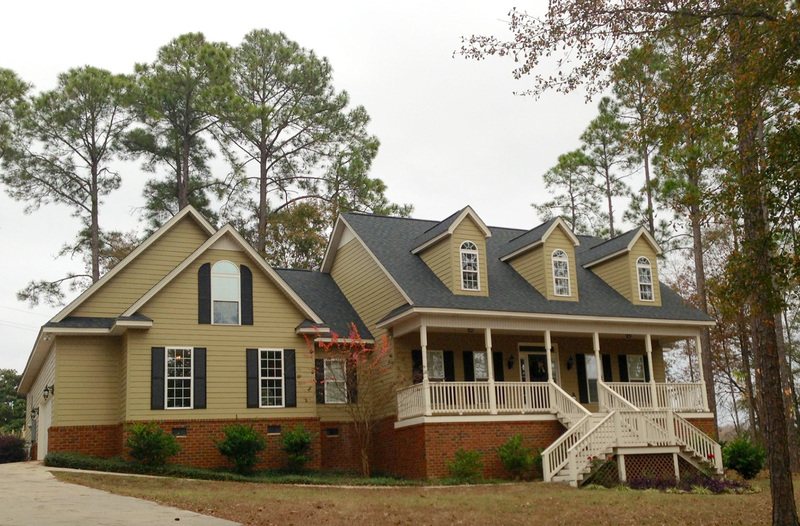 As you consider the pros and cons of adding a skylight, let American Roofing & Vinyl Siding assist you. We stand ready to make your investment in skylights rewarding.